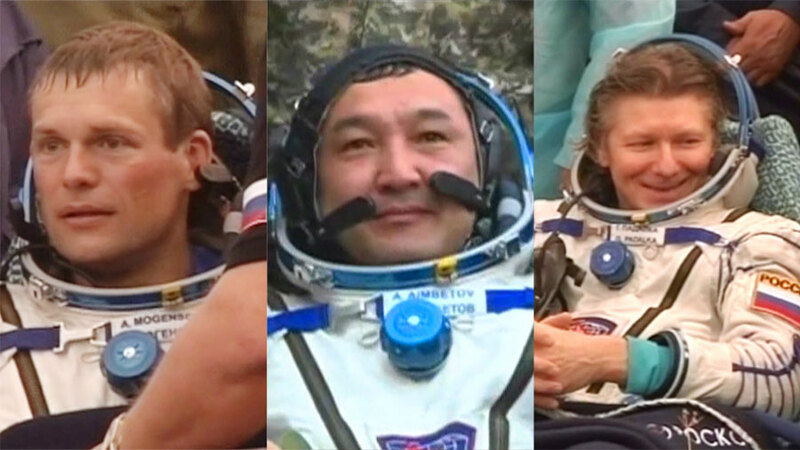 Among the returning members of the team was Gennady Padalka, the commander of the expedition, who flew out from Baikonur Cosmodrome in Kazakhstan on March 27, 2017 with US astronaut Scott Kelly and Russian cosmonaut Mikhail Korniyenko. Kelly and Korniyenko will remain in space as part of NASA’s One-Year Mission to look at how space affects the human body. Understanding the effects of space travel on the human body is crucial. We know that astronauts suffer from a loss of bone density, weakened muscles, reduced heart function, exposure to radiation, nutrition deficiencies and immune system problems as well as a loss of sleep and psychological problems. These risks are especially relevant to Padalka who has now broken the record for amount of time spent away from Earth – he has spent 878 days in space over five missions. He has said he would like to return to try for 1,000 days – which would mean spending another 122 days in space. While we don’t know exactly what the cumulative effect would be, Padalka could be at risk of developing a range of health problems – including back problems, osteoporosis, cancer and damage to the nervous system. Identifying the most common health problems will be crucial. Scurvy once killed millions of sailors, but we now understand how to prevent it. However, conditions in space are very different, as microgravity and radiation play a role in affecting the biochemistry of the human body. It is important to weigh up all these factors when working out how to keep astronauts healthy during long stays in space. It is not easy to assess such health effects, as there are so few people who have actually gone to space. Twin studies are a great way to do this – using one twin as a control. Conveniently for NASA, Kelly has a twin brother, Mark Kelly, who is a retired astronaut. They are participating in a twin study examining the effects of space on Scott and comparing with what happens to Mark while he remains on Earth. Blood samples from this study have now been sent back to Earth with the returning on the spacecraft. The study focuses on how space affects the heart, muscles and brain; how astronauts’ cognitive skills change in space; how dietary differences in space affect the microbiology of the gut; and how human molecular biology is affected by microgravity, radiation and confinement. In particular, atherosclerosis, the clogging of arteries with fatty deposits, is something that results in the death of hundreds of thousands of people every year and is a focus of the study. This isn’t just valuable for understanding how to survive in space, it also teaches us valuable lessons about human physiology, which would represent vital advances in medial sciences. NASA’s One-Year Crew is also undertaking a study of the psychological effects of living in a confined environment for an extended period of time. Studies have revealed a number of psychiatric problems during space travel, mostly transient anxiety, depression, and psychosomatic responses such as toothache, prostatitis, and cardiac arrhythmia. Astronauts have also reported missing the Earth. Following his flight in 2010, Korniyenko said: “The thing you miss there most of all is the Earth itself. I missed smells. I missed trees, I even dreamt of them. I even hallucinated. I thought I smelled a real fire and something being barbecued on it! I ended up putting pictures of trees on the walls to cheer up. You do miss the Earth there.” . However, the effect of looking down on Earth and appreciating its beauty has a strong positive reaction in astronauts and cosmonauts. Does this speak to some particular deep psychological connection between Earth and human beings? Would humans born on Mars develop the same connection with the red planet? These physical and mental challenges must be met if we are to explore beyond Earth and develop a persistent presence throughout the inner solar system. Even the most optimistic plans to go to Mars require journeys that are several years long. They may also require us to perfect the art of growing food in space, as was done for the first time on ISS Expedition 44,whose members were the first humans to eat food entirely grown in space. Having passed that milestone, the next step is to improve the yield and nutritional value of these crops. But on Earth the VEGGIE system was tested with Swiss chard, radishes, Chinese cabbage and peas, so these could be the next crops to be grown on ISS. There are also ideas to test our ability to grow food on the Moon in small canisters including basil and turnips. There is a lot of science going on at the International Space Station, in areas ranging from manufacturing and materials to planetary science and human physiology. Much of this research cannot be done elsewhere. The space station provides a unique laboratory. In doing this we are learning to survive away from our home planet. But we are also exploring what it means to be human. Astronauts feel an affinity for Earth. Are we therefore defined by our planet of origin? Are we truly Earthlings? This doesn’t come cheap – the USA, Russia, Japan, and Europe have, over a period of 30 years, spent around €100 billion on the International Space Station. The European contribution stands at €8 billion over this period, which corresponds to about one Euro per European every year. This is similar to the annual administrative budget for the whole of the EU. That may seem like a lot, but we can, and should, push the boundaries of our species whilst caring for our fellow humans back on Earth. Space flight is often simply a convenient target for austerity when faced with such challenges.